How to extend laptop screen to monitor Explained in Sinhala via HDMI and VGA. extend display windows 10 how to extend laptop screen to two monitors how to make two monitors work with one computer setting up dual monitors in windows 7 two monitors one computer different display how to connect two monitors to one computer with one vga port windows 7 not detecting second monitor extend screen shortcut. how to setup dual monitors windows xp windows xp duplicate monitor windows xp not recognizing second monitor dual monitors windows xp not working windows xp external monitor shortcut windows xp two monitors same display how to connect two dell monitors together windows xp 3 monitors. Meizu m6s is budget smart phone with average performance. specially full view display, super hardware and camera quality, side mounted finger print sensor are the highlights. phone runs Android 7.0 N and FlymiOS 6.0 with ton of additional tools and application for better android experience. watch this video for meizu m6s unboxing , Review and Price of the Sri Lanka. Sinhala geek show by Chanux Bro. 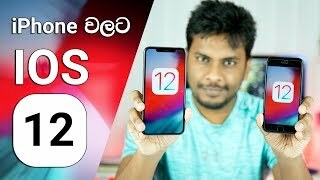 How to download and install Fortnite Game for Android Phones Explained in sinhala by Chanux Bro, sinhala geek show. you can download this game on official Fortnite Website. but for few weeks you have to have an Samsung galaxy device like Note 8 Note 9 Galaxy 9 etc. if not you have to wait for few weeks. Sri Lanka.